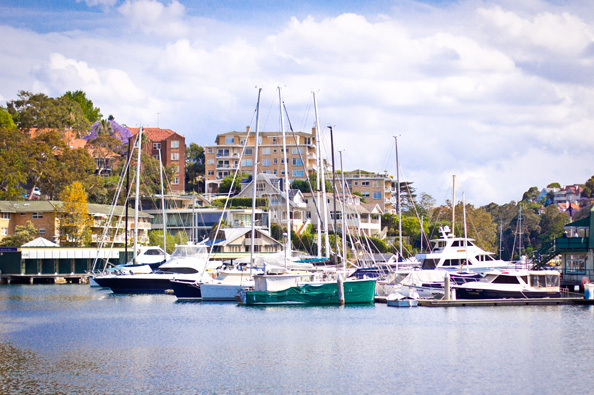 Last Sunday we spent at the Mosman Marina, one of our favorite Sydney spots. It’s one of these rare places in Sydney that isn’t overcrowded on the weekends. 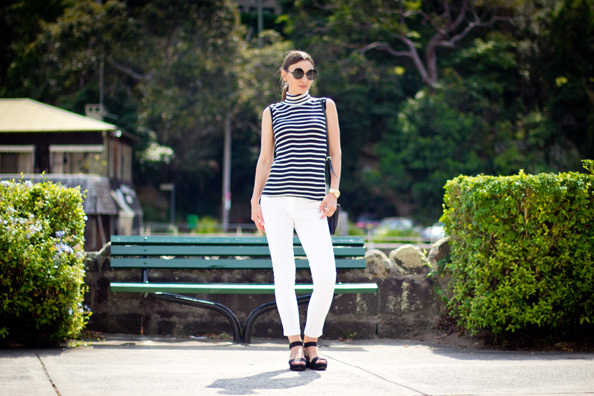 For the outing (that of course, involved picnic) I wore this simple black and white outfit that included all of my summer essentials. 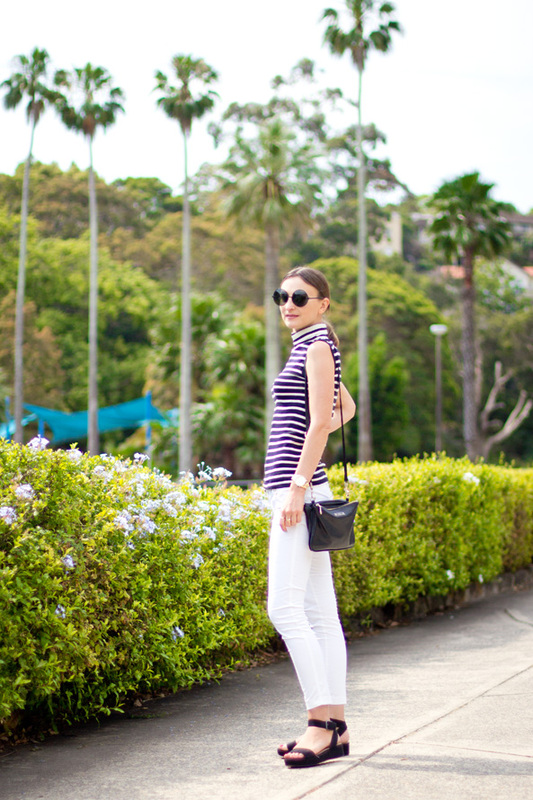 The trusty white jeans (also worn here, here and here), a Marcs bag that is barely alive and Zara sandals that are so comfy I’m wearing them almost everyday. The final pieces are a brand new turtle neck top and a watch from Shopbop. They perfectly compliment my existing summer wardrobe which is not a coincidence, although they were a gift from my wonderful fiancee, I took the precaution of choosing them myself! Speaking of watches… a good watch is to an outfit what a cherry is to the top of a cake, a crowning jewell, so to speak. Say, imagine this outfit without a watch… it wouldn’t look the same. Outfit details: AG Stilt Jeans, Edith A. Miller turtleneck, Marc by Marc Jacobs watch, Marcs bag, Zara sandals (ASOS version here). What are your summer essentials, lovelies? What are you getting/will get for the new season to update your wardrobe?